that very few dance performances are wowing audiences with work that is entertaining and that also has substance. 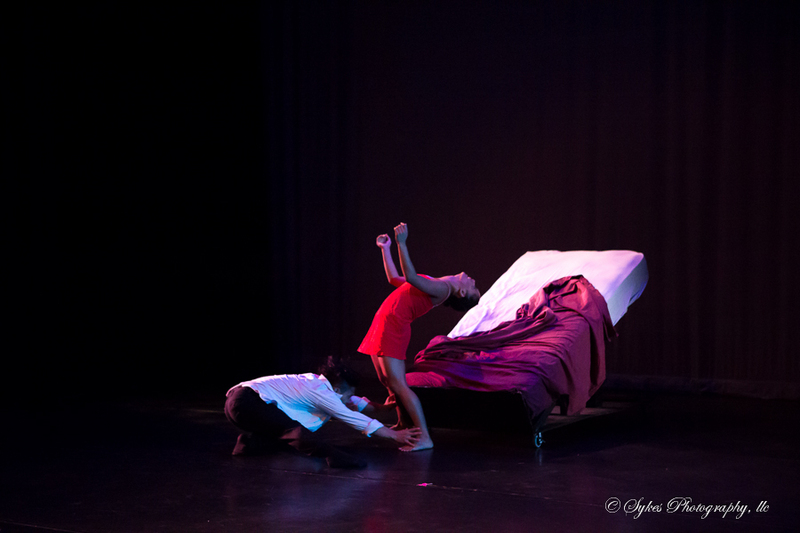 Gotta Dance Contemporary’s Surface premiered August 20th at 7 Stages theatre in Atlanta. Gritty and thought-provoking, Surface explores the idea of the inner self and self-acceptance amidst a society so fixated on the external. Gotta Dance Contemporary, led by Artistic Director Rachel Truitt and newly appointed co-artistic director Allan Paug, is in its 6th season. Surface, the brain-child of Rachel, beautifully blends her hip, technically-driven choreography with elements of light, sound and stimulating visual backdrops. The show flowed seamlessly through each vignette. From the professional dancers to the apprentices, each dancer exhibited technical prowess and emotional depth each time they moved across the stage. The show opened with “Skin”, which included live music and powerful vocals by Prisca, a local artist. This piece was dramatic and striking in its message, as the solo dancer gazed upon herself in a big mirror, seemingly in agony of herself and her physical appearance. ‘Love the skin you’re in’ was the recurring theme of the piece. Other notable pieces that stood out were, “Little Boxes”, a clever satire of the ‘American dream’, Lauren Debrick’s “Rich Kids”, a phenomenal blend of hard-hitting hip hop movement and contemporary technique, “Retrograde”, with the theme of social media and fitting-in revealed through intricate patterns, inventive movement and the incorporation of cell phones, and finally “Terminal”, which included an airport setting and the clever use of luggage being passed around as the dancers moved about with intensity. 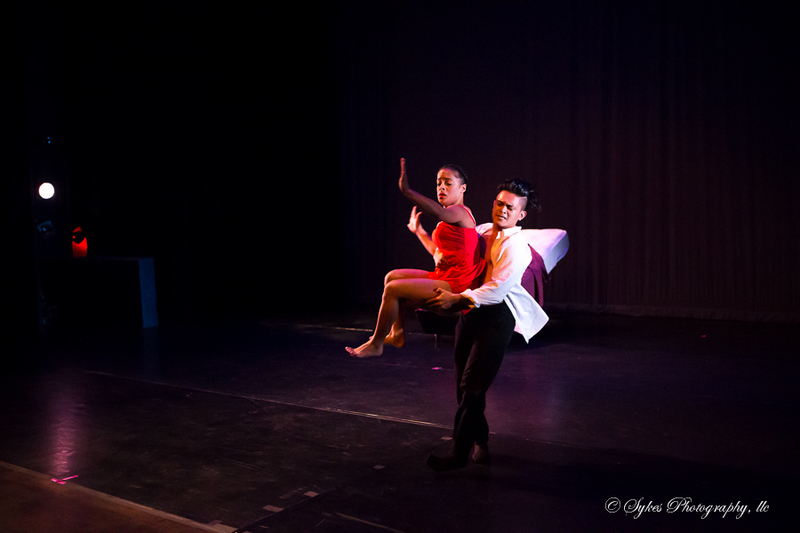 Audience favorite, “Litost”, featuring Nateli Ruiz and Allan Paug, kept you unable to look away from the stage. After audio clips of the words ‘fear and love’ resounded through the air, you were brought into the bedroom of a couple in obvious peril. Although, there have been many duets utilizing the “dance on the bed mattress” method lately, Truitt’s choreography is exquisite. Nateli Ruiz is a powerhouse in a small frame, who moves with precision, passion and impeccable technique. Allan Paug commands the stage, with his ability to seemingly suspend himself in midair with grace and power. 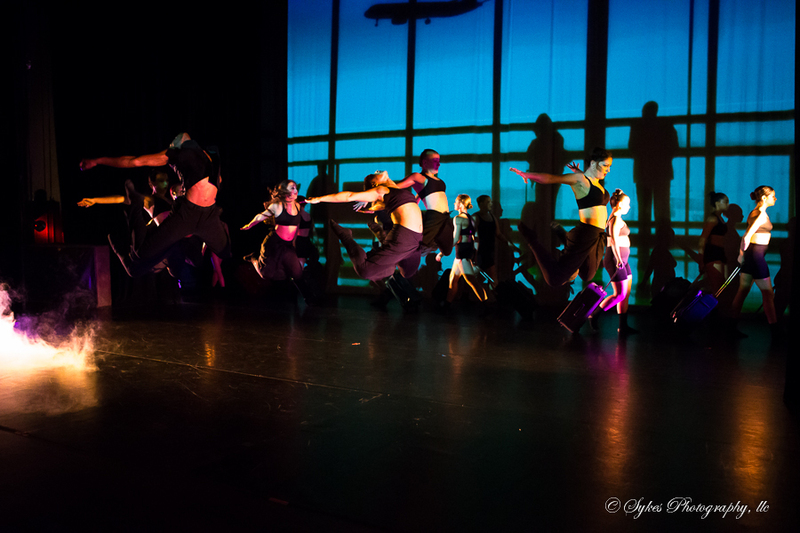 Clever musical collaboration, simple, yet effective costuming, , an array of hip hop, contemporary and pointe work, and a diverse cast of phenomenal dancers set Surface apart. Rachel Truitt and Gotta Dance Contemporary has masterfully tapped into what it means to use dance not only as a form of communication and expression, but also, as a means of entertainment.